This traditional Belgian white beer has been brewed and developed by Pierre Celis. Very pale and hazy with a white dense head there is a aroma of wheaty tartness. Very refreshing beer a great thirst quencher. When monks from northern France decided to settle a few kilometres away in the Belgium town of Watou they started to produce there own beer along with some cheeses. 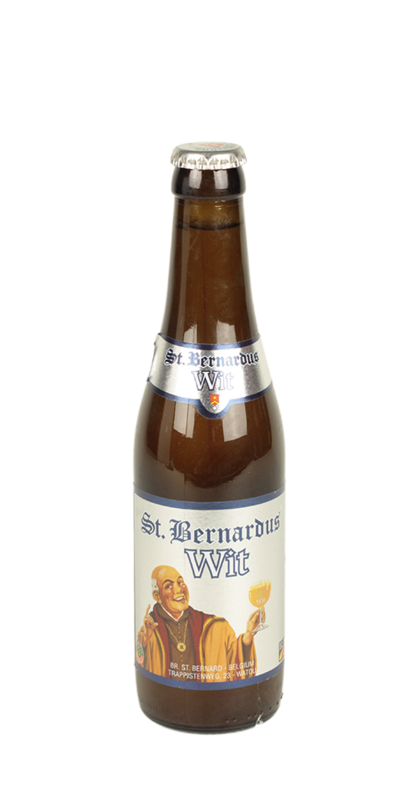 After the second world war the monks decided they wanted someone to commercialise there beer which resulted in the foundation of St Bernardus. Selling trappist beer under the names Westvleteren, St Sixtus and Sixtus in 1992 the brewery finally brewed under there name known today producing a range of trappist ales.